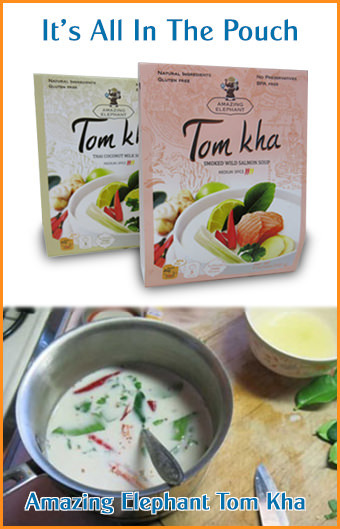 We offer a ready-made khao koor from Thailand, but you can also make it yourself. How To Make Khao Koor: Heat a medium sized wok or skillet at medium/high, and add a couple of tablespoons of uncookedjasmine rice. Keep in movement until the rice starts to turn golden brown. Remove from the heat and allow to cool. Grind to a fairly coarse powder in a spice mill, or a mortar and pestle, or a pepper mill or a good clean coffee grinder (all of these work well but keep in mind that a coffee grinder tends to grind too fine--the powder should retain some "texture"). Put your cooked beef into a mixing bowl. Add the larb ingredients except the mint leaf, and mix well. Taste and season as desired. You might want more or less ground chile and/or fish sauce, etc. Serve with fresh green beans, and freshly-steamed sticky rice (or if you prefer you can use Thai jasmine rice). Serve with mint leaves on the side, to be eaten with the beef. The usual way to eat this is to get a small ball of sticky rice in the fingers and use it to pick up a little lawb, then eat it with the raw veggies. You can also use a fork and spoon as a lot of Thais do. You might also like our recipes for: Larb Gai (chicken), and Kaeng Sai Mai Rong Hai (Thai curry without tears).